ACARS is a digital data link system for the transmission of messages between aircraft and ground stations. The transmissions usually take place in VHF band, between 130 and 137 MHz. The wide availability of cheap software defined radios makes it easy for anyone to receive and decode ACARS transmissions. Since RTL2832U based USB sticks are the cheapest SDR hardware this is what I will use for reception. 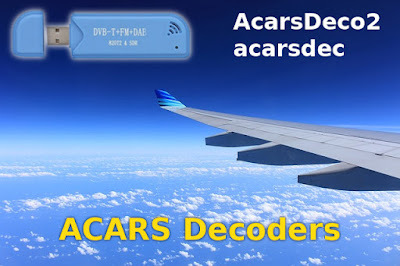 There are many tutorials on this subject and most of them involve piping an audio stream from a SDR application to an ACARS decoder application. This is not reliable and takes a lot of resources. More than that, by selecting one frequency, demodulating it and sending the audio stream to ACARS decoder software you are limited to that single frequency. But there are a few tools that work directly with RTL-SDR hardware, are free, cross-platform and perform ACARS demodulation. More important than that, the software tools you will see here can listen to multiple frequencies at once. The only requirement is that those frequencies should fit in the bandwidth of RTL-SDR (about 2.4 MHz). A balun is a device that converts a balanced signal to an unbalanced signal. 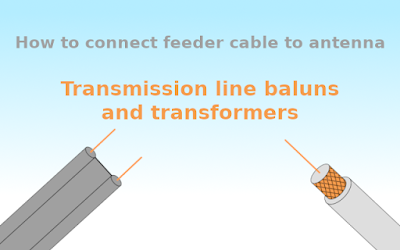 Depending on construction, a balun may transform impedance too and may be used for connecting signal lines of different impedances. 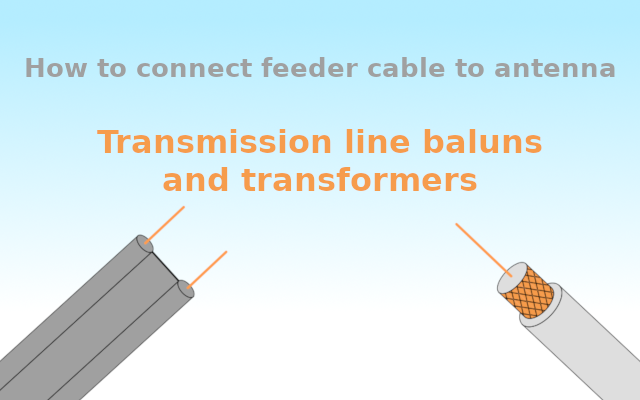 In radio applications, baluns are used most of the time for adapting a transmission line to the antenna. This post will show you some easy to build baluns, designed for receiving antennas working in VHF and UHF radio and television bands. However, these baluns can be also used for transmitting antennas. They are easy to build because you only use cables similar to the antenna feeder cable. Most used antenna class for all radio communications is the dipole. Since it's called a dipole, it has two connection points. Therefore it is suited for balanced signals. The antenna can be connected to a receiver using a twin lead cable. But in this case the receiver must have balanced input and similar impedance with the antenna. But the most used type of cable is the coaxial type, which is unbalanced and has a different impedance too. Let's see what are the basic types of connections between the antenna and the feeder cable.